L.I: to make a poster to show what waste is. This week for inquiry we learnt about what waste is, by making a poster to show what waste is, kinds of waste, and sources of waste. 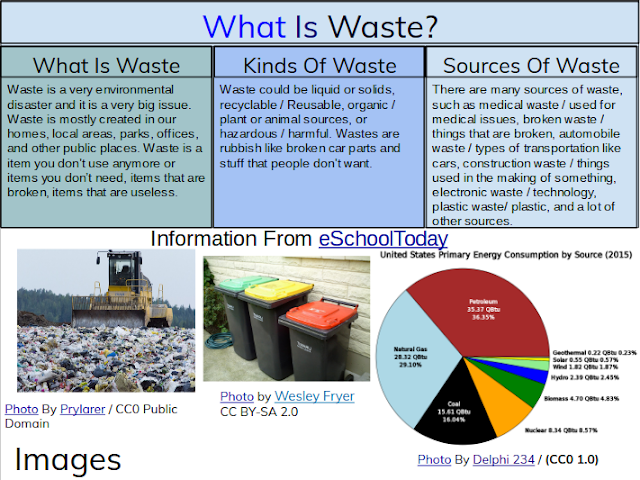 We looked at a site called eSchoolToday so we could understand what waste is, and examples of them. We had to explain on the poster what waste is, and examples of them. We would find images and attribute them, and make the poster look eye catching.